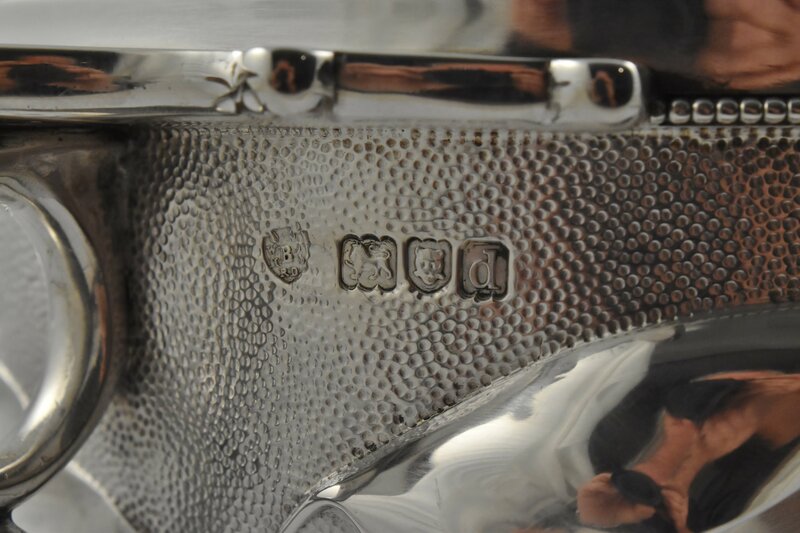 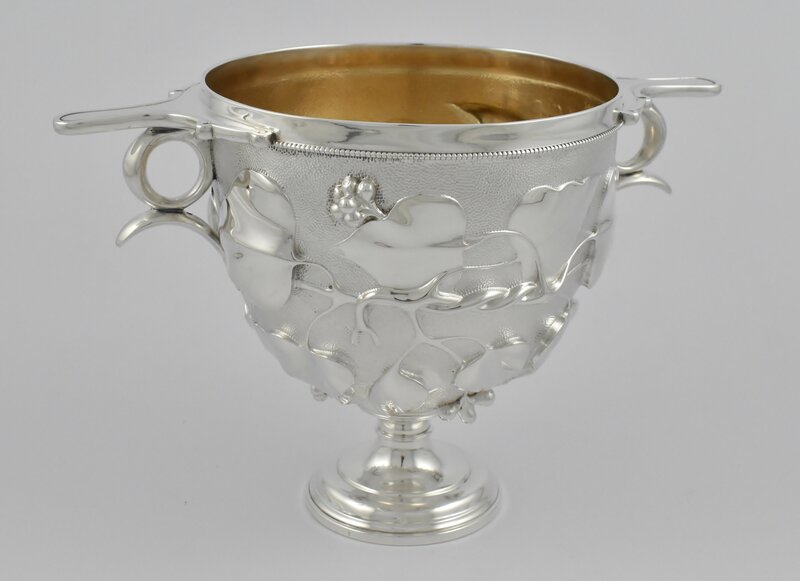 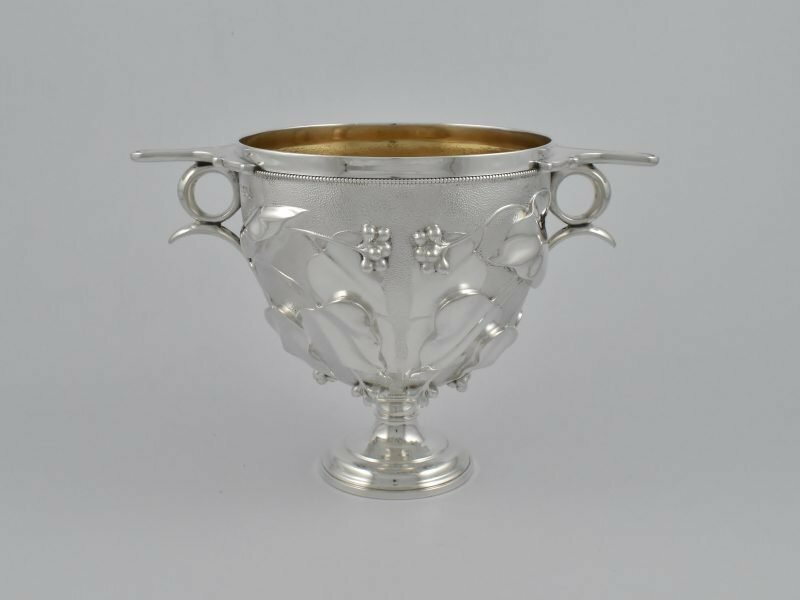 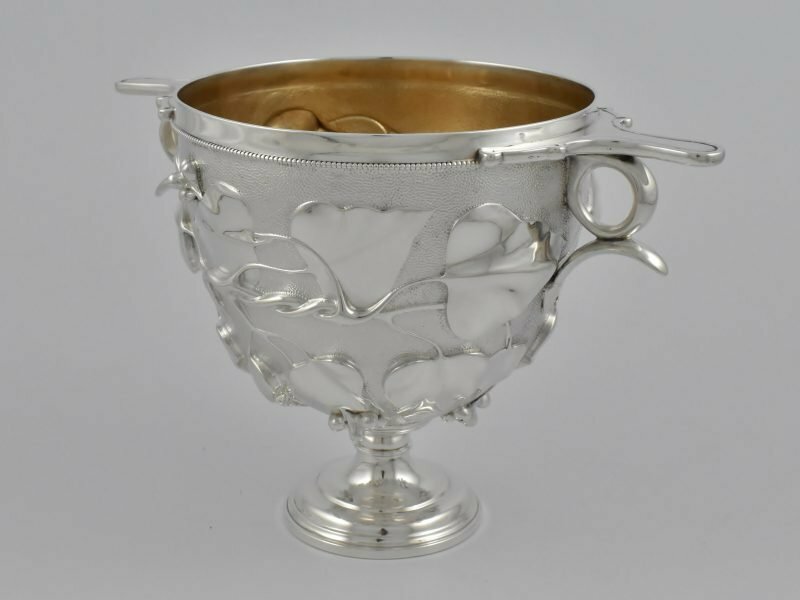 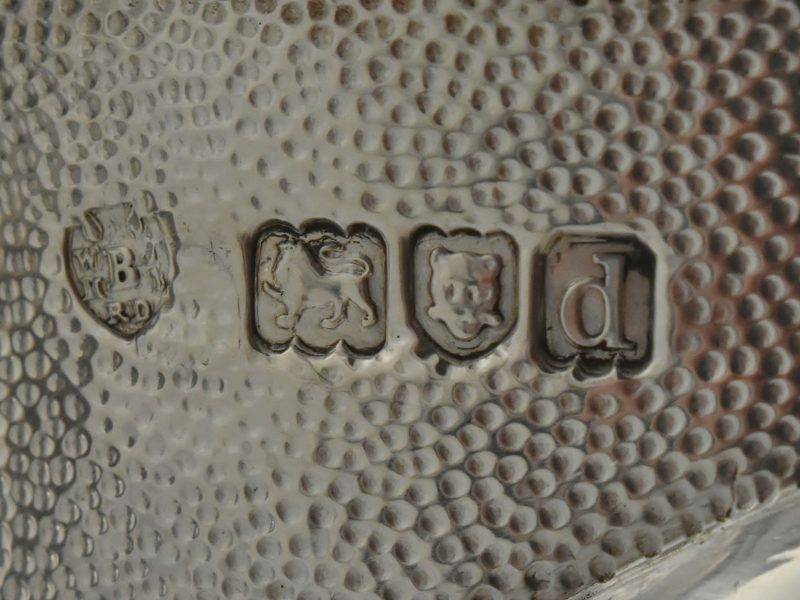 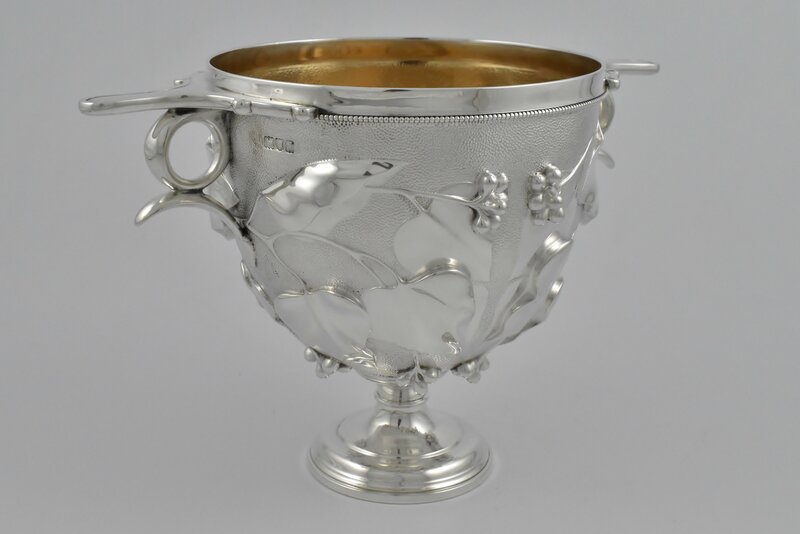 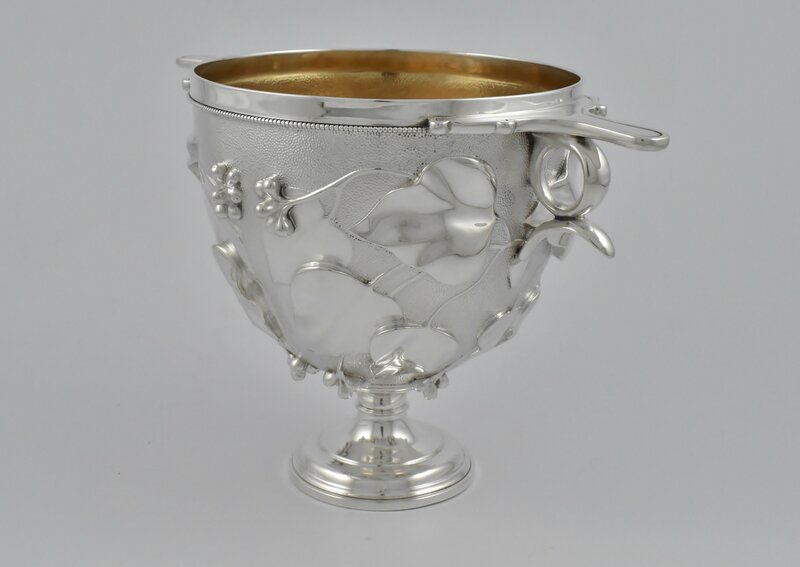 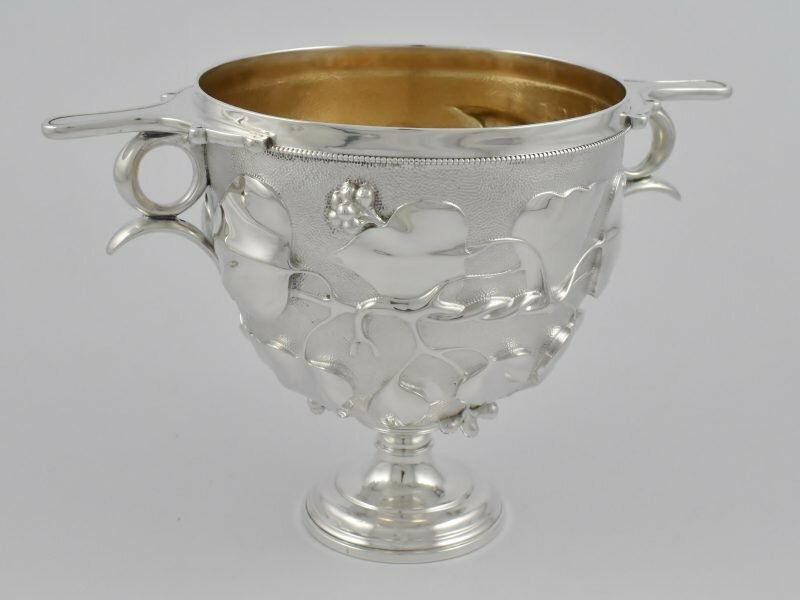 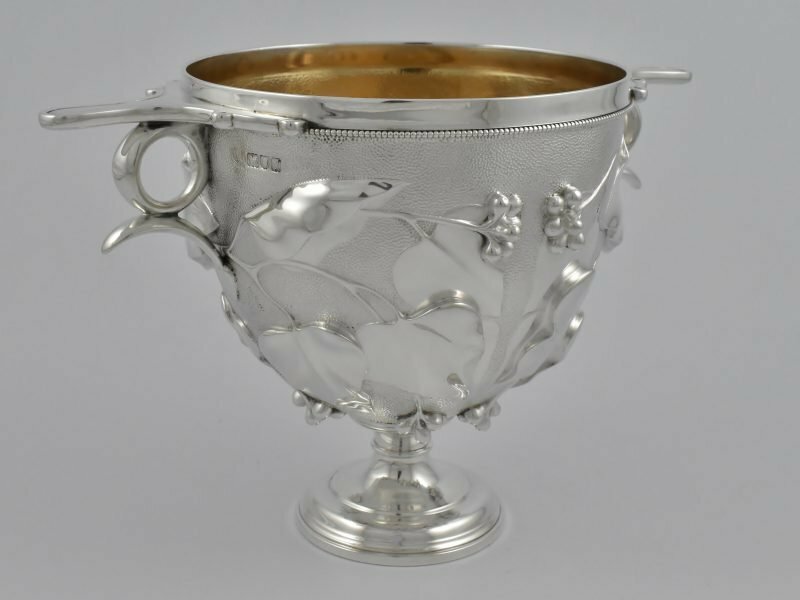 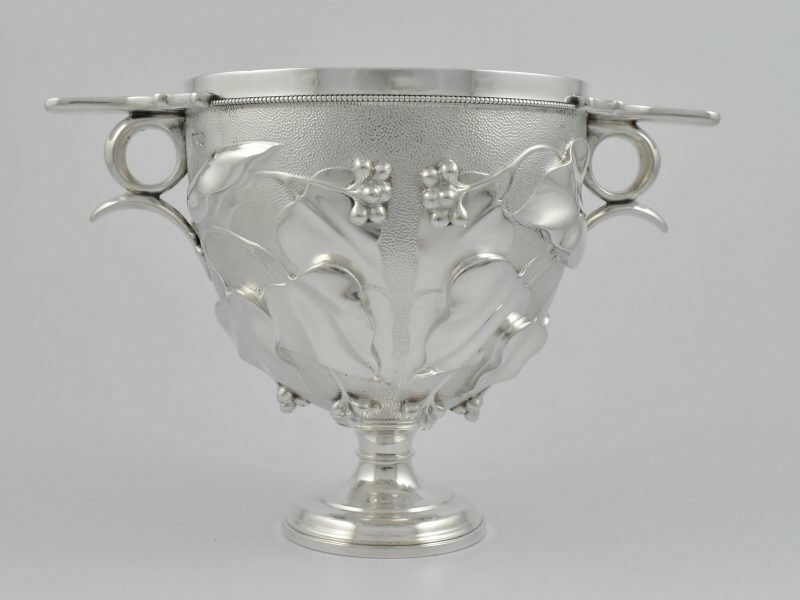 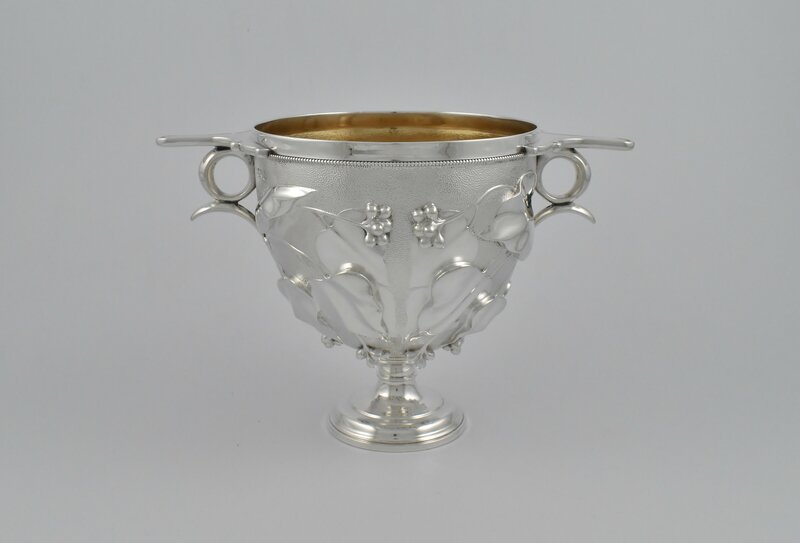 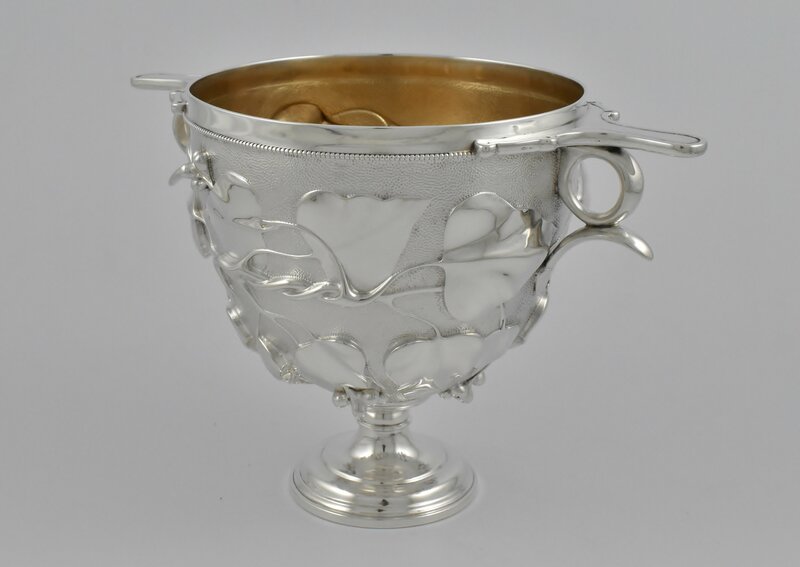 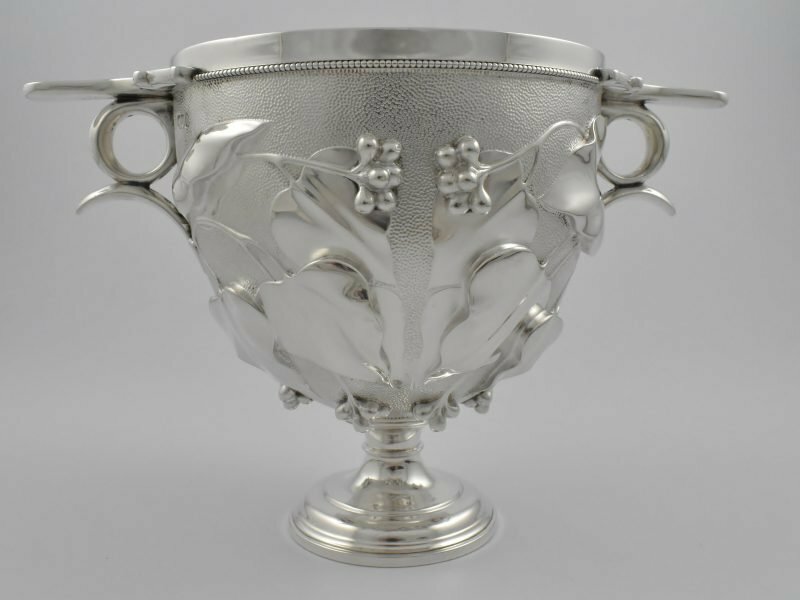 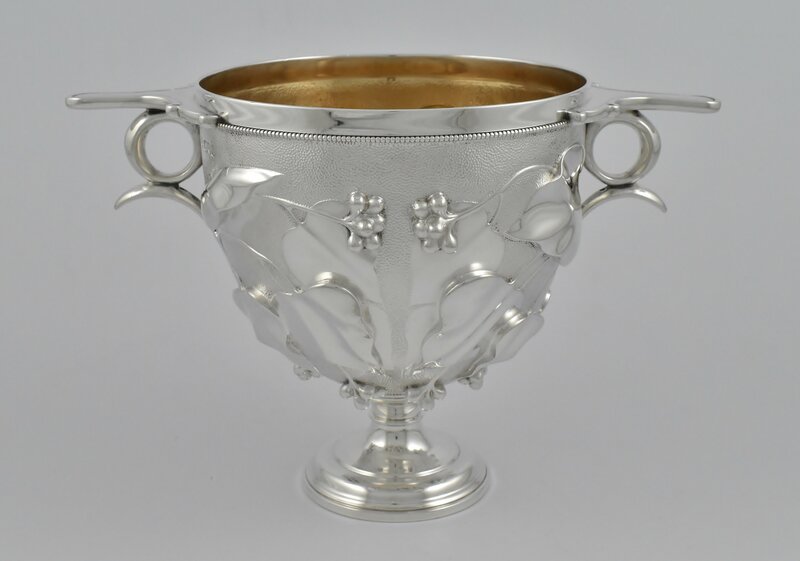 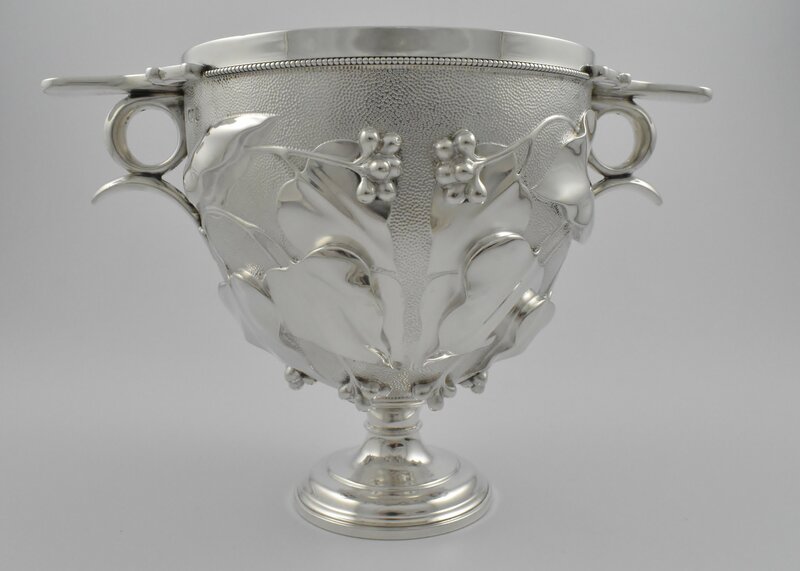 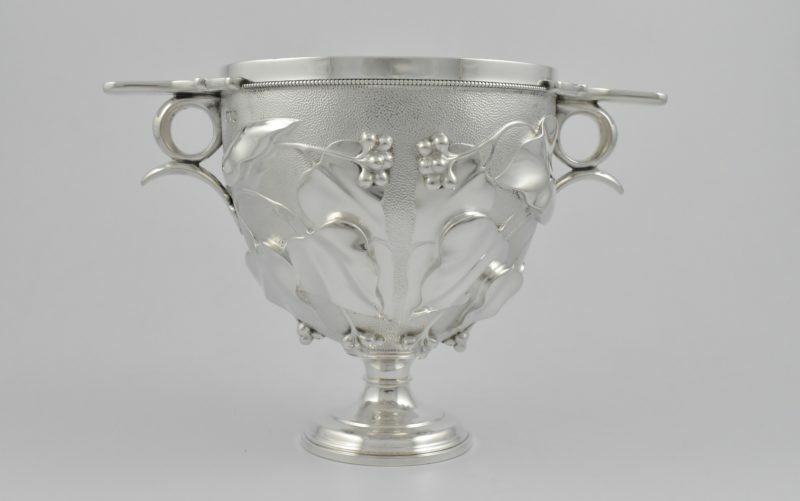 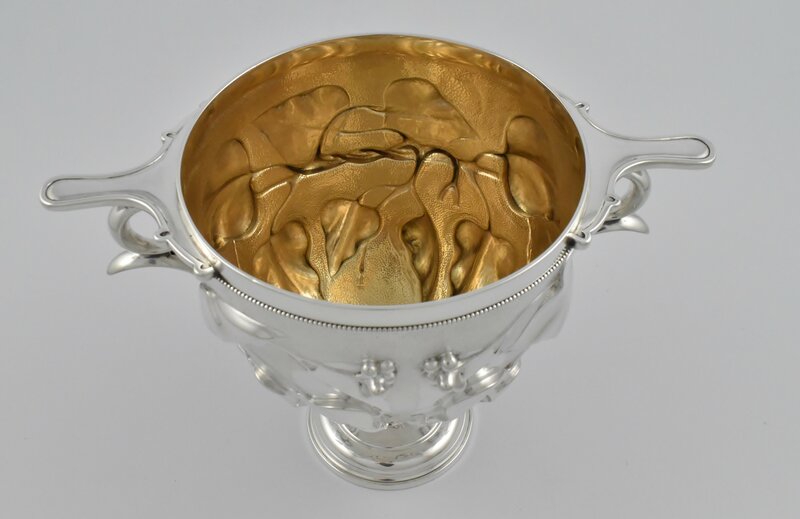 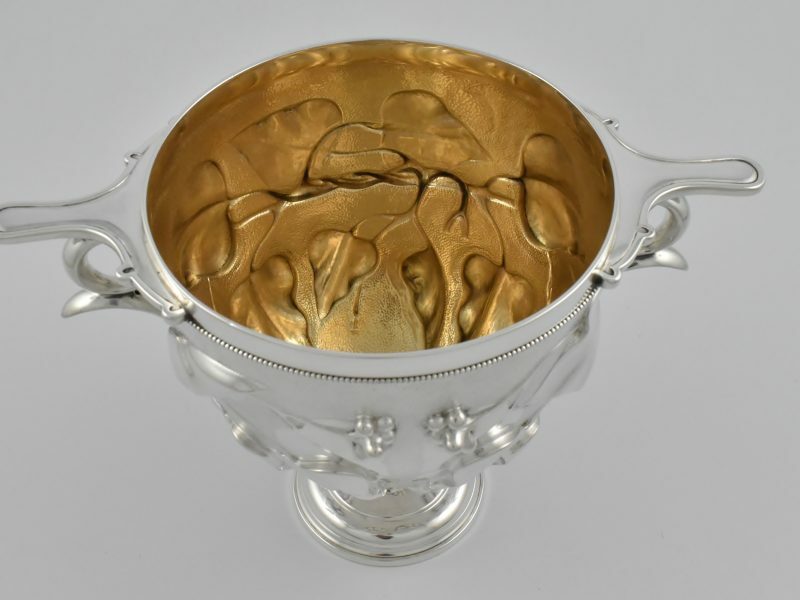 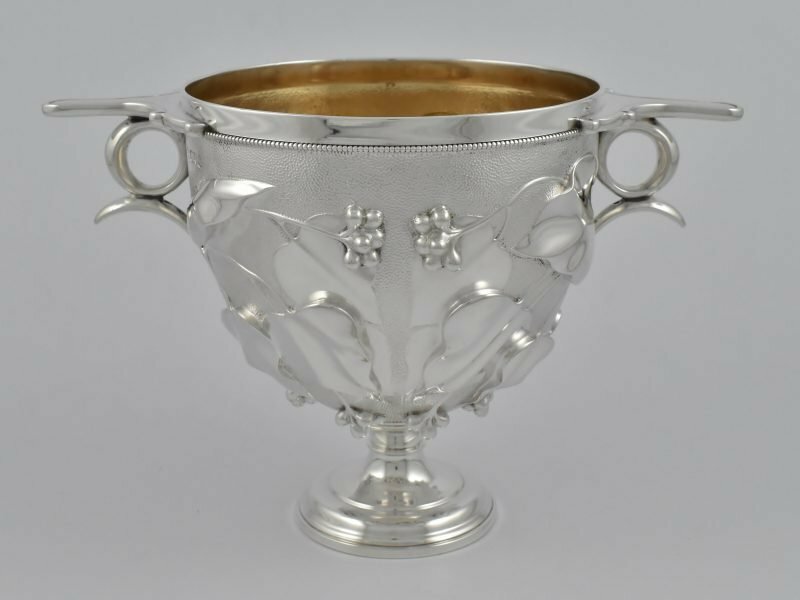 Victorian silver “Skyphos” cup marked for London 1899 by Edward Barnard & Sons inspired by ancient Roman cups excavated at Pompei in 1835. 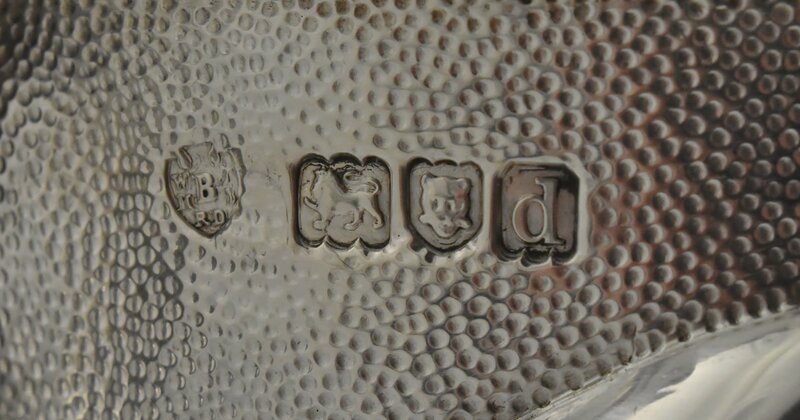 Note: See page 286-7 of ‘House of Barnard’ by John Fallon where this design is illustrated. 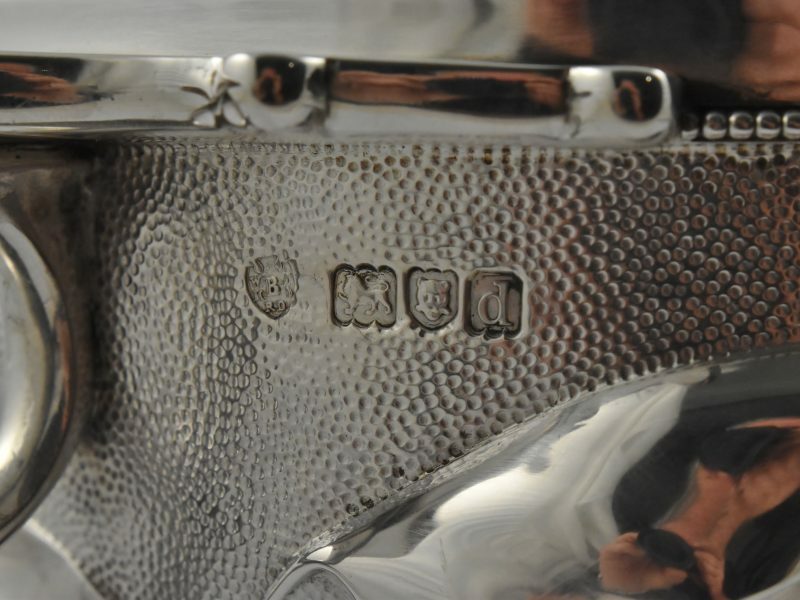 Dimensions: 26.7 cm handle to handle by 17.5 cm high by 8.2 cm base diameter.